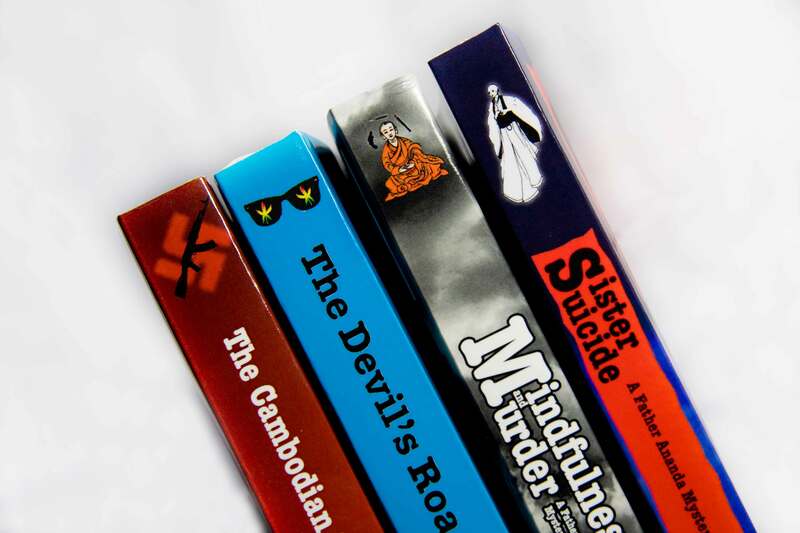 Everyone has a good book in them so they say, Asia’s first English-language crime publishing house looks set to put that adage to the test. Words by Mark Bibby Jackson. “Most of the books are terrible,” writer Tom Vater says of the spate of books he calls ‘bargirl genre’ on sale in book shops in Bangkok and across the region. “They are badly printed, the fonts are awful and the stories are just these endless sob stories about the bargirl scene here. The two were working together on ‘Sacred Skin’, a non-fiction book about Thailand’s tattoos, when they came up with the idea. This is where Crime Press comes in — to sort the wheat from the chaff — publishing a select series of crime thrillers under a label readers can trust. The aim is to publish 20 titles over the next few years, either as eBooks, print on demand or conventional print publishing. Though launched officially last month at the Ubud Writers and Readers Festival in Bali, where he participated in three sold out panel discussions, Vater is already receiving two to three manuscripts a week; all of which he reads himself. Some, however, do not fit into the specific genre of the publishing house. In addition to having their book edited by Vater, authors benefit from the network of connections developed by Kemp during his 10 years of publishing books, such as the popular photography title ‘Carrying Cambodia’, produced under the Visionary World label. At the time of our interview Kemp was at the Frankfurt Book Fair promoting Crime Wave’s publications. One of the first books published by Crime Wave is Vater’s own work, ‘The Cambodia Book of the Dead’, a crime mystery set in 2001 – the year Vater first visited the country. He believes that Cambodia, like Thailand, affords great opportunities for crime writers. Recently Crime Wave sold the international rights for ‘The Cambodia Book of the Dead’ to British publishing house Exhibit A, while another of its books, ‘The Devil’s Road to Kathmandu’ will be published in Spain early next year. Written by Nick Wilgus ten years ago and set in Thailand, the latest book published under the label is a reissue of ‘Mindfulness and Murder’, part of the Father Ananda series. Negotiations are also underway with the view to publishing a thriller about Phnom Penh and another one set in Thailand at the time of the Vietnam War, according to Vater. With the recent explosion of fiction labelled Asian Noir, including Christopher G Moore’s compilation of short stories entitled ‘Bangkok Noir’, the launch of Crime Wave seems particularly well-timed. However Vater is quick to point out that most of these works are whodunnits or crime fiction that technically belong more to the tense Hard Boiled detective fiction of American authors such as Raymond Chandler and Dashiell Hammett than to the Noir fiction popularised by subsequent writers such as David Goodis, Jim Thompson and James M Cain.